Almost all of us have come across the popular document format, PDF-which is an acronym for ‘Portable Document Format’-at least once in our lives when dealing with digital documents. This file format, introduced by Adobe Systems in 1991, was created to make documents portable. And it has managed to do that. PDF documents are independent of application software, hardware, and operating systems as well. However, while these documents are portable and easy to use and work with, the applications needed to create and edit them are not. However, PDF Pro aims to make life easy by making creating, converting, editing and reviewing of PDF files easier and portable. And portable it is, because unlike most of the other PDF editors out there, PDF Pro is a web application, with all the action taking place online. This enables users to access the entire suite from almost any platform. This application is pretty well-rounded and allows users to do everything from adding text and images to erasing content and splitting, merging, and converting the PDF files to other formats. You can even password protect your documents! And all this has been simplified. You can create documents from scratch, or convert files like Excel sheets, PowerPoint presentations, Word documents, or JPEG images to PDF files. On the other hand, converting PDF files to images is just as easy. Using the available tools, you can even edit and review your PDF files. Merging, splitting, or deleting pages from the PDF document has never been simpler. If you want to secure your documents, you can place a password lock on them to restrict access. You can also add watermarks, and rotate pages. You can even compress your PDF files to save space. At the end of it all, the built in PDF viewer allows you to review your handiwork. 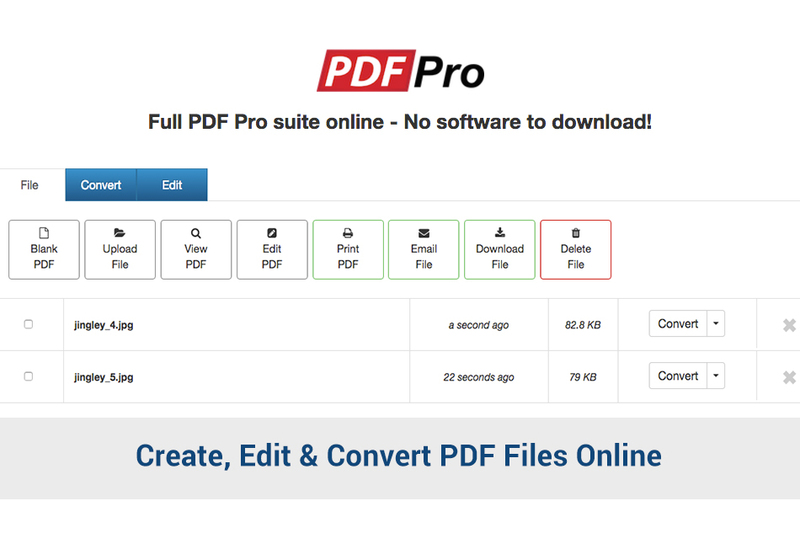 The fact that the suite is an online application is one of the major advantages of PDF Pro. You do not have to download any program to your system, or install any new program on it. You can access the entire application and all its bells and whistles online, and practically from anywhere and at any time. You can use it from virtually any device – phone, laptop, or PC – as long as it has a stable internet connection. You can even store your files online, as the suite provides 100 MB of free cloud storage. There is virtually no learning curve at all, as the suite is very easy to use and intuitive. The user interface of the app is as easy to use as Microsoft Office; with every tool you need easily accessible just a few clicks away. Hence, unlike most other applications, you do not need an practice to use this one. 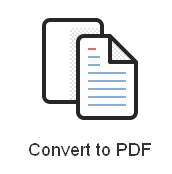 PDF Pro helps you create, convert, edit and review PDF files like you would any other file, and it allows you to do this on the go. Being an application which is hosted online, you can access it from anywhere and at any time. You can even use the available cloud storage to save your documents online. Users can create up to three PDF files for free before they need to sign up. With PDF Pro, anyone can be a Pro, anytime, anywhere. Good:Online application, large number of easy to use tools, cloud storage. Bad:Requires an internet connection, requires sign up after three files are created.